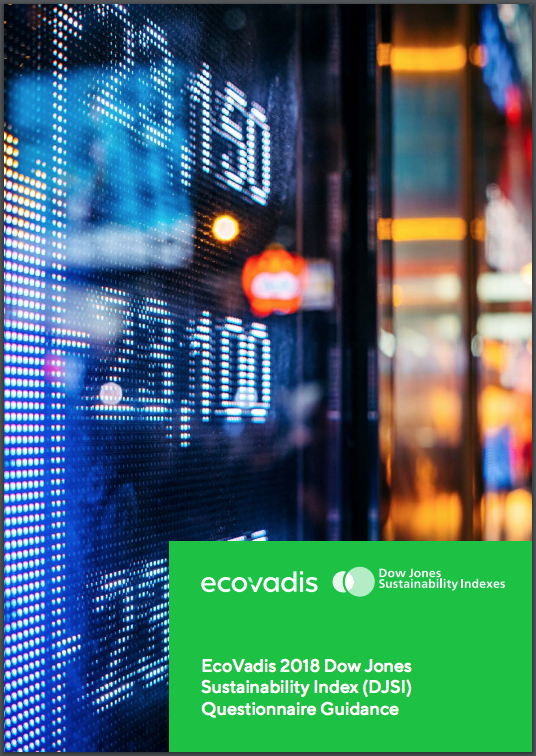 Each year the Dow Jones Sustainability Index (DJSI) makes changes and updates to their survey and methodology of their rating system, including the supply chain section. DJSI continues to be one of the most established and respected rating mechanisms for investments, and many EcoVadis clients participate in it quite effectively: five of the DJSI 2014 annual Industry Group Leaders are EcoVadis clients: Alcatel-Lucent, Akzo Nobel, Air France, ING bank and Telenet Holdings (subsidiary of LibertyGlobal). Supply Chain continues to be a key section of the DJSI rating. To this end, EcoVadis has updated our guidance on how to leverage your EcoVadis platform data for the current DJSI qustionnaire. This targeted guidance helps you to respond to the Supply Chain Management portion (section 1.5) of the DJSI assessment.